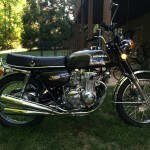 Restored 1974 Honda CB350 Four Motorcycle. 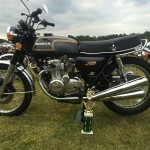 This show winning Honda was fully restored by its owner. The cylinders were bored 1 size over. Everything was inspected and new seals and bearings were installed throughout. 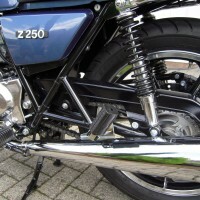 The aluminium parts were polished to a high finish. 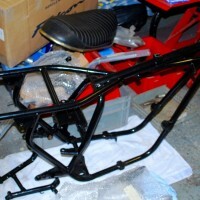 The engine case and jugs were powder coated bright silver. 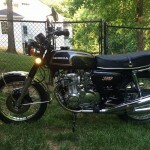 The ignition was updated with a Hondaman transistorized unit. The carburettors were professionally rebuilt. 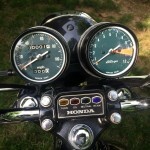 The gauges were restored to as new. 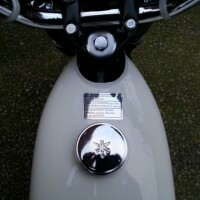 The wheels were rebuilt with new rims and polished stainless steel spokes. 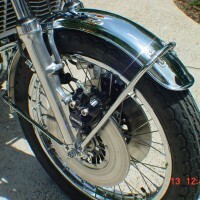 The handlebar and grab bar were re-chromed. 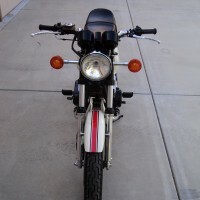 An very well restored Honda CB350Four Motorcycle. 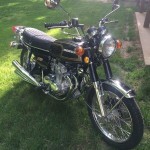 Honda CB350Four – 1974 For Sale or Wanted? 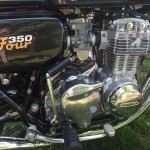 If you're looking for the perfect Honda CB350Four – 1974 for sale then take a look at the hundreds of restored classic motorcycles listed on our extensive Motorcycles For Sale pages. 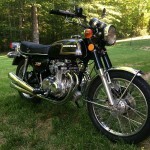 We regularly feature very nice restored Honda CB350Four – 1974 bikes for sale. 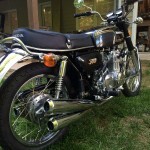 Spares and Parts for your Honda CB350Four – 1974? 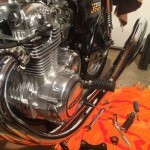 Workshop Manual for your Honda CB350Four – 1974?